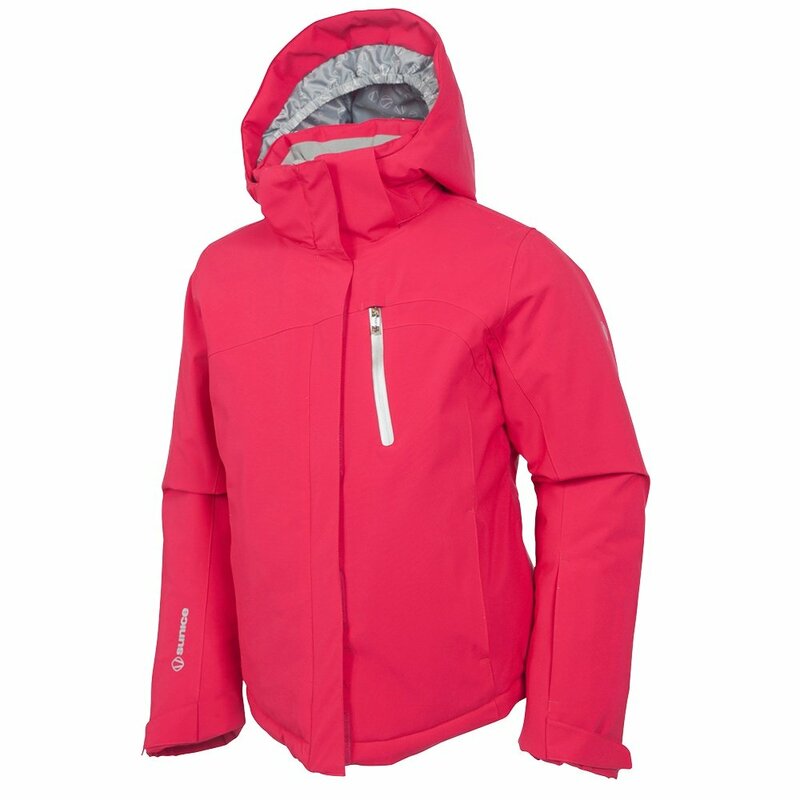 Sunice's Naquita Jacket bursts forward with color and performance. This 10K/10K waterproof breathable jacket features a mapped blend of Climaloft™ synthetic for targeted warmth. A powder skirt, hood and Lycra® cuffs help her keep warm and dry. Microfleece at the pockets and inside collar add a touch of soft, smooth warmth for enhanced comfort through and through.